Looking for last minute deals? 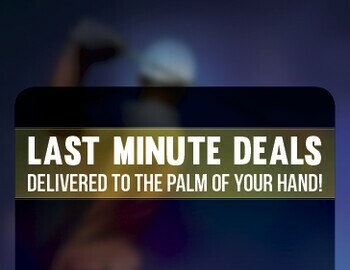 Looking for some last minute deals delivered to the palm of your hand? Text ROB to 24587 to receive last minute deals and savings! By texting, I consent to receive up to 4 golf offers per week at the number provided. STOP to cancel. Msg & Data rates apply. Consent is not a condition of purchase.